In 2015, volunteering contributed more than £22.bn to the UK economy. This is about 1.2% of GDP. Figures are taken from www.volunteersweek.org, where you can also find out more information about events and activities that are taking place this week. At Open Country we have over 100 incredible volunteers who contributed over 8,000 hours of free time last year, without which we would be unable to carry out our work. 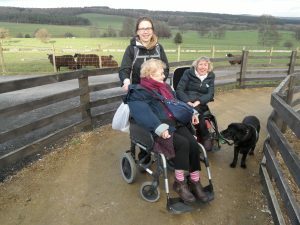 Our volunteers help out in a number of ways; guiding visually impaired members, or wheelchair users on countryside activities, piloting tandems, maintaining our fleet of cycles, baking cakes for coffee mornings and helping with office admin, to name but a few of the many things they do for us. 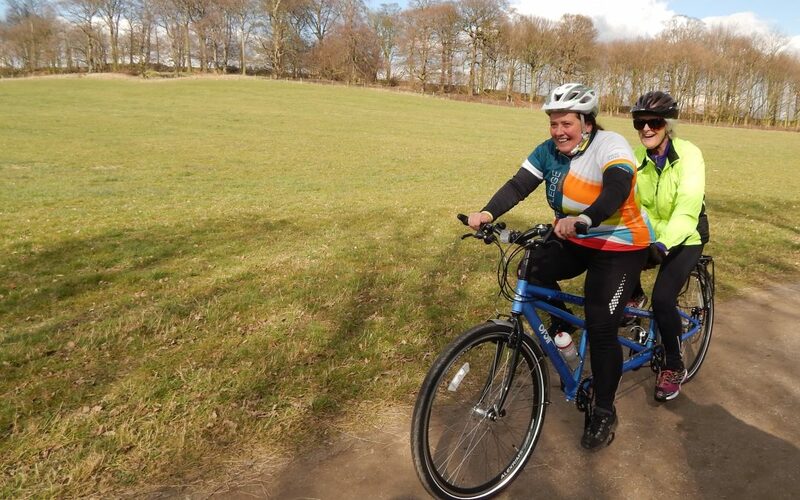 And yes, she does mean ‘sweat’, many of our tandem riders will be able to identify with that! Well done to Jo and well done to all our wonderful volunteers who make Open Country the thriving and vibrant organisation it is today, we hope you have as much fun as we do and we thank you from the bottom of our hearts!